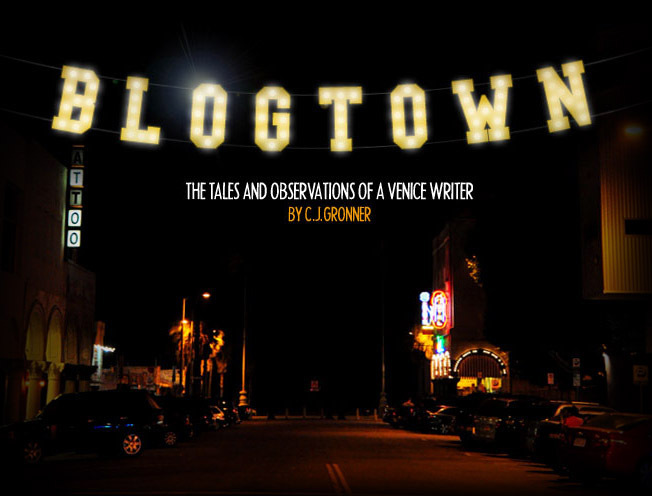 Blogtown: Venice Fringe At In Heroes We Trust - Every Wednesday! 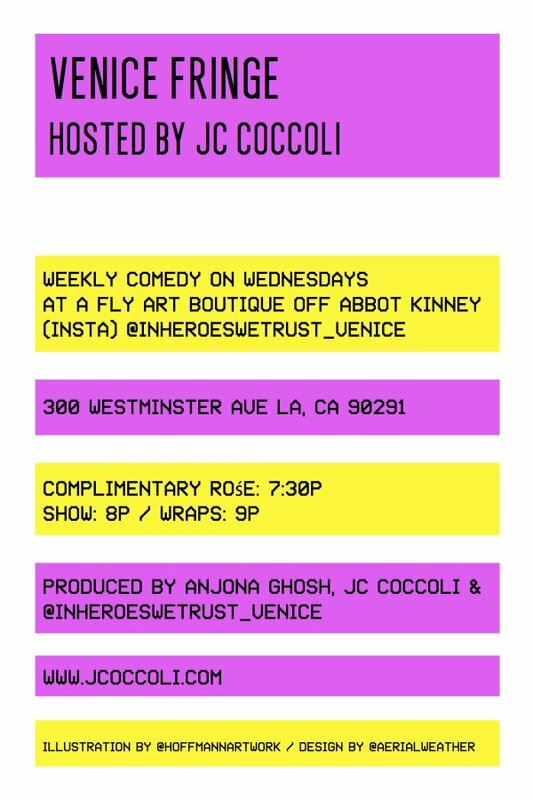 Venice Fringe At In Heroes We Trust - Every Wednesday! I love In Heroes We Trust because it's an extra fly legit one of a kind store in Venice with the coolest clothes and art, of course, but also because its owner, Neely Shearer, is not afraid to throw a good shindig right there inside the shop. I've had many a good time and made many a friend just from walking by and joining the party. Last night (and now every Wednesday night!) 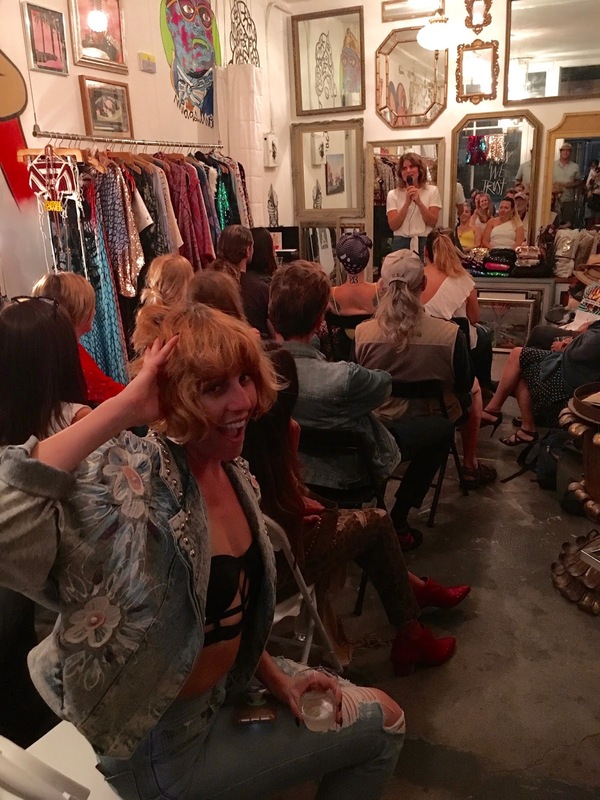 Shearer turned her shop into a full on comedy club, when she hosted the first Venice Fringe comedy night for her excellent comedian friend, J.C. Coccoli. Coccoli and I became instant friends a few months back (at another IHWT jam! ), because J.C./C.J. but also because she's awesome. Last night was the first time I heard her standup comedy, and now I like her even more. 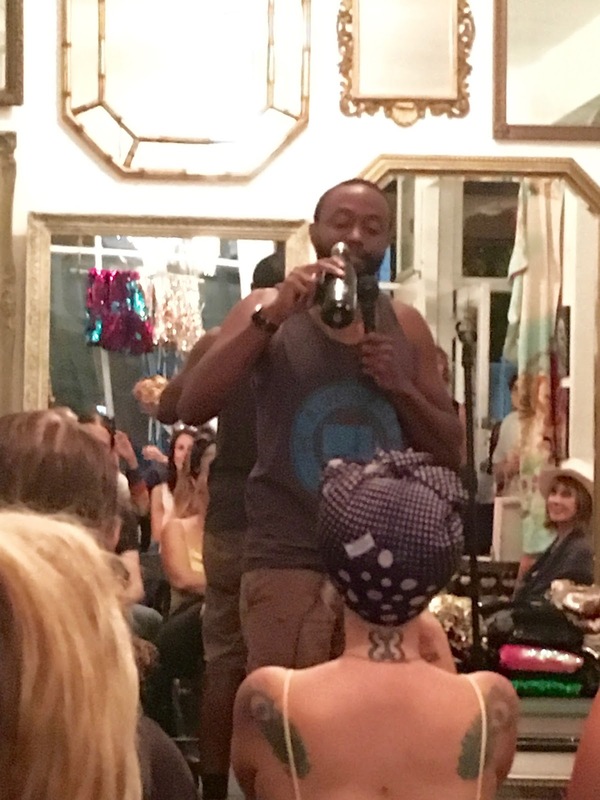 I'm not the biggest fan of standup comedy, which makes me not the best audience for it, but I was happy to go and support my friends. I was both surprised and delighted that I actually laughed almost the whole time, and may have even gotten over my comedy glitch. People were cracking me up. 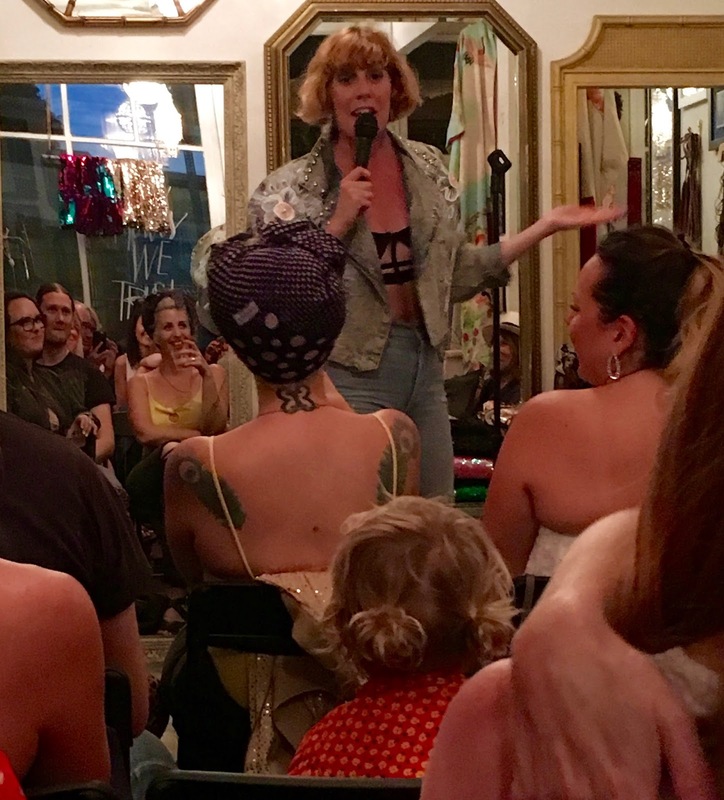 There was a good blend of men and women in the line-up, with Coccoli kicking off the proceedings, and popping the many bottles of complimentary rosé that may have also had something to do with my easy laughter. Good times! Byron Bowers and James Davis held it down for the men, and I can't remember all that their sets were about (as I forgot my notebook - and did not forget the rosé), but I knew the joint was in stitches. Brooke Van Poppelen brought it home with more hilarity, and confirmed my new status as an enjoyer of the comedy. 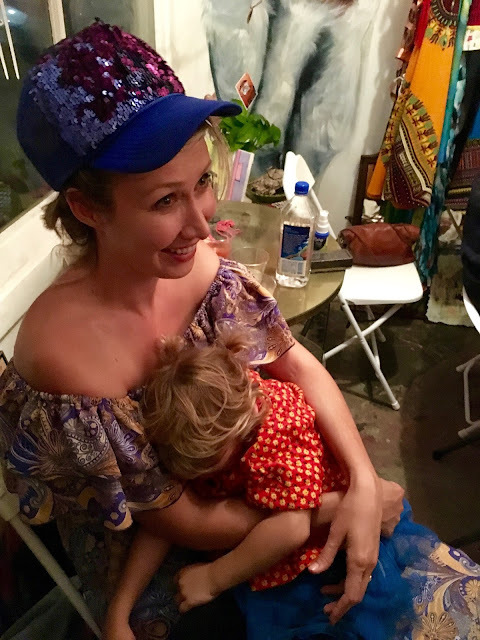 Even this little girl was laughing - until it became past her bedtime. The party spilled out on to the sidewalk - as it usually does - and the laughs kept on coming. What an unexpectedly stumbled upon fantastic evening of fun with funny people! Get there every Wednesday! The rosé is cracked at 7:30, the show is at 8 sharp, and done at 9, so it's a great time that allows you to keep it going, and/or not whine about it being a school night. For just a $10 donation - Fringetastic! See you Wednesdays at In Heroes We Trust, friends! The Venice Art Crawl Turns 7!